Contrary to popular belief, January is destined for more than hibernation and dieting. It is the month of newfound freedom. Why? You’ve done the obligatory family gatherings, you shopped until you dropped, listened to Jingle Bells on repeat and ate a dozen cookies a day during the month of December. (Or maybe that’s just us.) We loved the festivities of the holidays but we’re ready for something new! Say goodbye to 2018 and welcome 2019 with open arms. We have fresh, fantastic promotions to usher in January. Take this opportunity to take care of yourself, to do the things you never have time for and make it YOUR year. 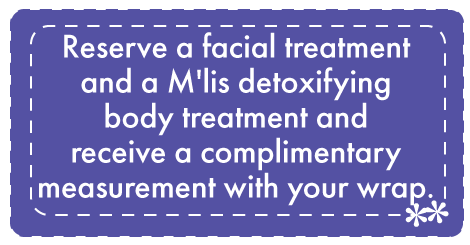 Receive two detoxifying treatments to cleanse and purify your face and body. Greet The New Year With A Fresh Face! What’s keeping you from having the best skin of your life? This is the year you ditch the drab to find the fab! Fabulous skin is within reach. We will customize a treatment plan to address your specific concerns. Restore Moisture And Ditch Dry Skin With The Best! Say sayonara to scaly, flaky skin with personalized recommendations we offer in the spa. Come on in for the best cleansers, toners, lotions and moisturizers. Have a specific concern? We are happy to provide skin consultations, too! No more excuses! Now is the time to take care of yourself. If you’ve been experiencing pain, tension, stress, headaches (the list goes on and on), stop putting off your health and well-being. Massage alleviates all these ailments and is oh-so-relaxing! A gratitude journal is a great way to combat the January blues. Plus, it’s a happy habit to start at the beginning of the year. Keep what you’re grateful for at the top of your mind by writing it down. 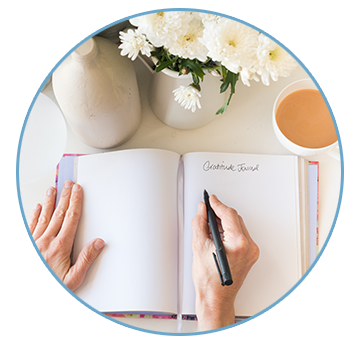 It may seem silly at first but once you get started, you’ll feel a powerful sense of happiness with each journal entry. Start small; for example if you wake up early after a poor night’s sleep and your day isn’t off on the right foot, take out your journal. Be thankful you have a pillow to lay your head on, a blanket to keep you warm and a whole pot of coffee to make up for the lack of sleep. Now that winter is here, flaky, dehydrated skin is a widespread condition many of us have to struggle with. Anyone can suffer from dehydration. Just as you update your wardrobe to fit the cold season, you must also adjust your skin regimen to prevent dry, lackluster skin and promote glowing, healthy skin all season long. First and foremost, slather on the sunscreen every day. Winter UV rays are just as harsh as summer UV rays and contribute to wrinkles, age spots and skin cancer. Be sure to apply moisturizer daily and top it off with a sunscreen with a sun protection factor (SPF) of 30. To have beautiful skin this winter, it is important to work closely with your esthetician to hydrate and prevent damage. Once you and your esthetician have decided on the appropriate in-spa skin care regimen, it is crucial to adhere to an at-home routine to continue proper care of your skin between spa visits. Beware of over-the-counter hype!! Do you have a graveyard under your bathroom sink where department products you no longer use are laid to rest? There’s a reason for that. Over-the-counter products, no matter how expensive they are, do not deliver the results that cosmeceuticals provide. The main differences between over-the-counter and cosmeceutical products are the active ingredients being used, their amounts and the level of penetration into the skin. • They focus on results instead of mass production and selling. • Cosmeceuticals offer an extensive product selection to accommodate varying types of skin conditions. • They use high-quality ingredients with proven results. • They incorporate high SPF into their products to further protect delicate skin. To get desired results, you need to use skin care products that you trust and that are recommended by licensed estheticians. 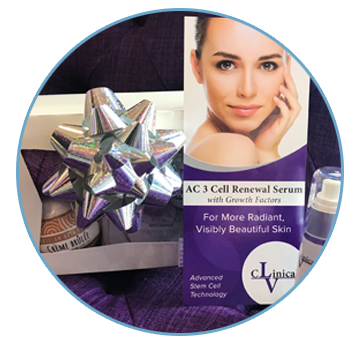 To effectively improve the appearance and health of your skin, it is imperative that you commit to both the in-spa and at-home care regimen your team designs for your specific needs. 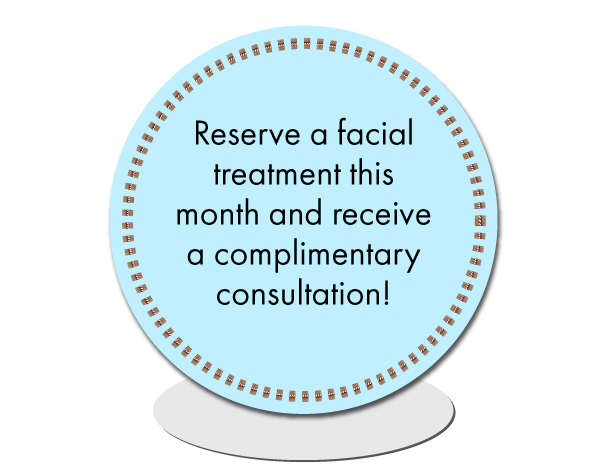 Reserve your complimentary consultation now. Here’s to great skin! 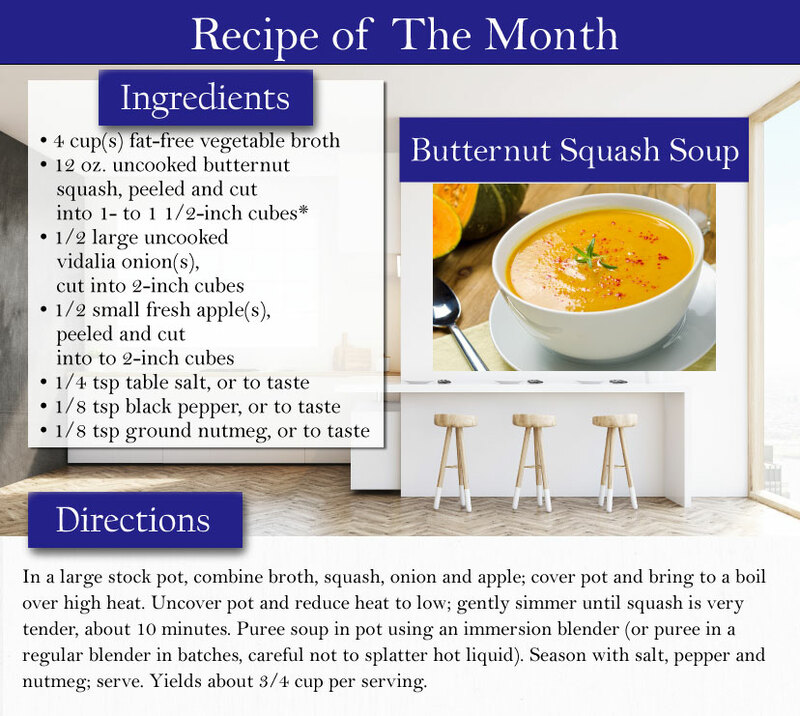 Warm right up with this super-easy and delicious soup!